Reminiscent of the unique R 1100 S Checker design, set your bike apart from the rest with our "Racy" easy-to-install two (2) piece Checker Graphic kit. 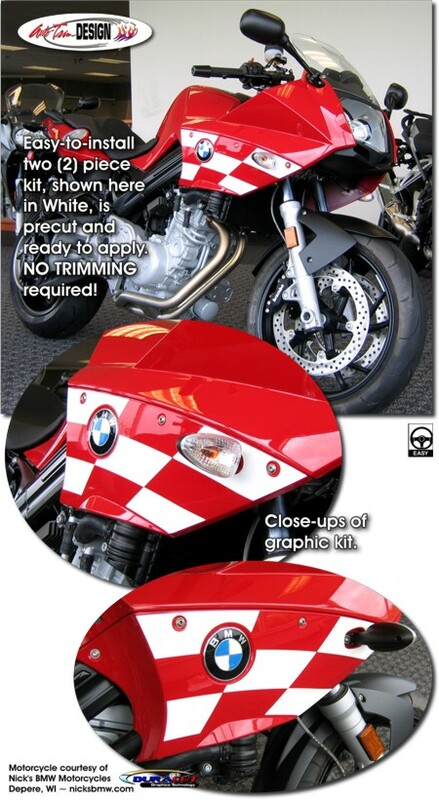 Created specifically for '07-Current BMW F 800 S bikes, this kit will "sport up" your bike in no time. Note: Temporary removal of left and right directional lights are required during the installation process.